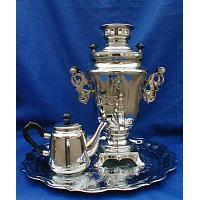 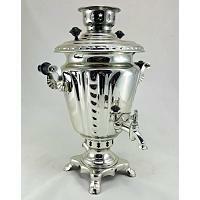 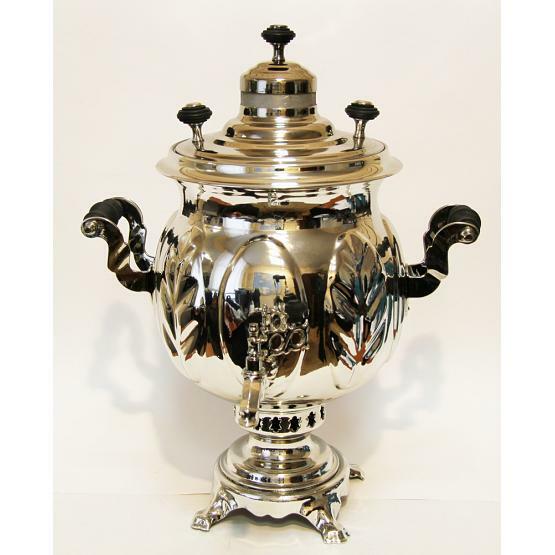 Authentic nickel plated brass piece made at the oldest Russian samovar factory located in Tula. 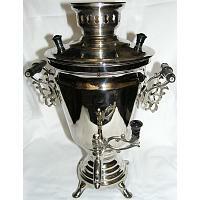 Rare variety as it can heat up water using both coal and electricity. Volume: 4.5 liters.